The Database Server controls all interactions with the contents of the Toon Boom Harmony database. It processes all requests to open, read or update files, keeping track of files that are locked so others cannot edit them. 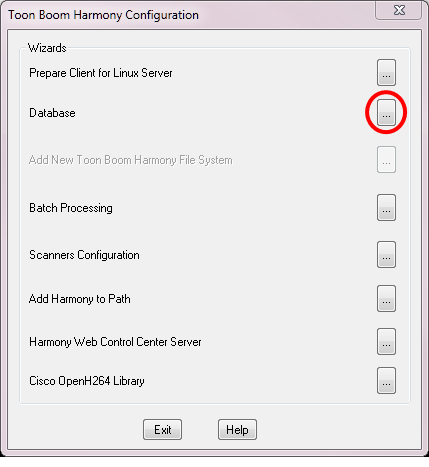 In the Harmony Configuration Wizard, click Database. Select the Server/Standalone option and click Next. Enter the location of the database, and set a user name and password for the user who will be running the database services. The default account is usabatch. If the account specified does not exist, it will be created by the wizard. NOTE: Make sure to take note of the account name and password if an account other than the default one is used. This information will be required later on for client workstations to connect to the server. 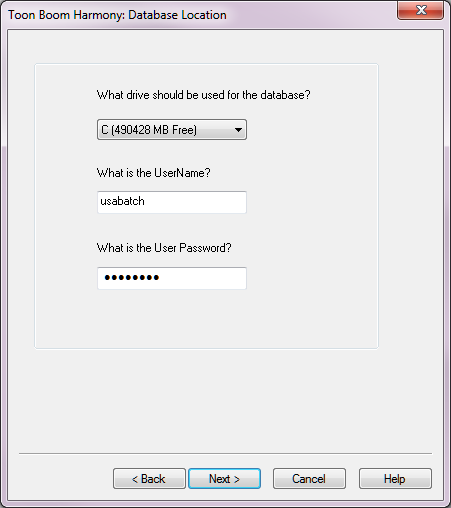 The USA_DB database is created. The database tracks the location of the scene data on the file system. You can have multiple file systems, but only one USA_DB. 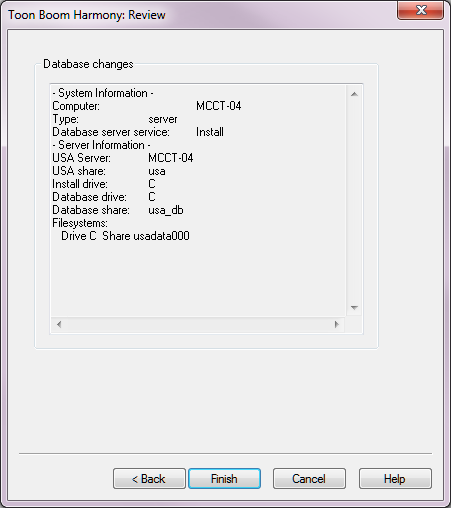 NOTE: If you are upgrading from a previous version of Harmony or Opus and you have renamed USA_DB for backup, you need to create a new USA_DB at the same location where the previous USA_DB was located. 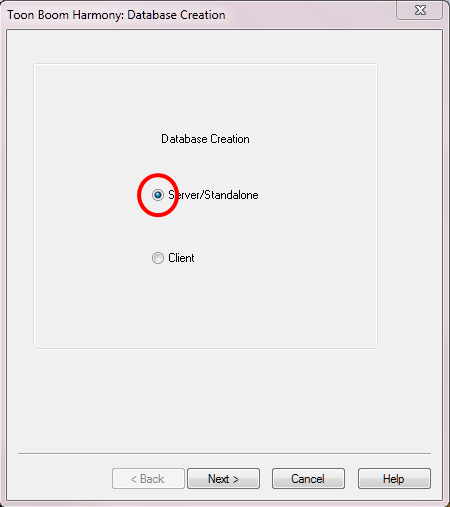 In the Scene Data Location window, create the storage locations for the database. Filesystem: Select the file system you want to add. The first File system is already created for you. If you want to create additional file systems to, for example, store scene data across multiple drives or computers, click Add. 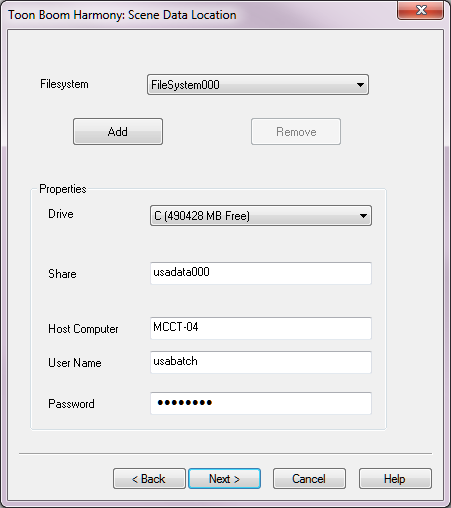 Drive: Select the drive on which you want to create the file system. Share: In this field is the name of the file system that will be created. You can change this value. However, it is recommended to leave the default name, which increments from usadata000. Host Computer: Enter the name of the computer on which this file system will be created. By default, the current computer's name appears here. You can create file systems on other computers if necessary. User Name and Password: Specify the user name and password that will be used to connect to the file system. It is recommended to use the same user name and password as the one used for the database. The Toon Boom Harmony: Review window opens.